I've recently seen some stuff written about a connection between Naboo and the Sith. I've read couple of books from expanded lore, but I am by no means an expert in the canon/legends. This stuff seems a bit weird. I haven't seen anything about this mentioned in the books I've read and I didn't find anything useful in Google. Now a question - is this something from canon? If yes, where can I find more information about this? I guess this is taken from some book. I'll go through this point by point. Nothing I can find supports this claim. None of Padmé's ancestors beyond two of her grandparents are known, and Exar Kun had no known relatives. Nothing in the films or The Clone Wars seems to support this. At no point do any of the human citizens of Naboo object to the presence of Jedi. BOSS NASS : Wesa wish no nutten in yousa tings, outlaunder, and wesa no care-n about da Naboo. Boss Nass doesn't particularly like Qui-Gon or Obi-Wan, at least at first, but it's out of a general xenophobia towards non-gungans, not a specific hatred of the Jedi. The dark side is strong on Naboo, especially near plasma mines. This is incorrect, but it's not as far from the truth as previous points. Naboo as a whole is never mentioned to be particularly strong in the Dark Side. However, canonically, Maul did apparently leave a Dark Side presence felt decades later, as shown in Princess Leia. Additionally, in the Legends continuity, Darth Plagueis was deeply involved in Naboo's Plasma industry, though nothing about the mines themselves were inherently strong in the Dark Side. Again, I can find nothing to support this. At no point in The Phantom Menace, subsequent films, or The Clone Wars is it stated that the Jedi aren't supposed to be there. The only significant connection between the Sith and Naboo is the fact that Darth Sidious was from there. However, the Sith had no presence there historically, and it was not a Dark Side-imbued planet. Not the answer you're looking for? Browse other questions tagged star-wars star-wars-legends jedi sith or ask your own question. When did the Sith enter the Star Wars canon? What Sith Lords were turned to the Light Side? 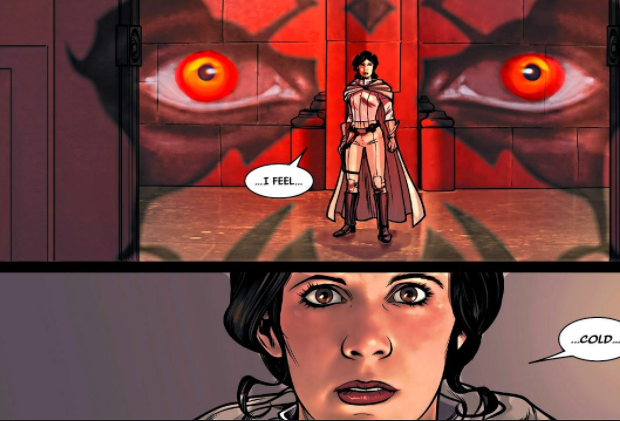 What is the history of the Sith according to new Disney canon? Are there any instances of Sith getting in a romantic relationship with each other or someone else?